In this modern time, some still doubts the benefits of gamification. And yet, it is scientifically proven that some types of games can indeed make your brain function improve and even increase your IQ score. One does not need to be an avid gamer to benefit from game-based learning. Some games that exists are simple enough that even the least tech-savvy person may comprehend the rules and play the game. You may know some types of these brain games that are promoted to be able to increase your brain’s efficiency. 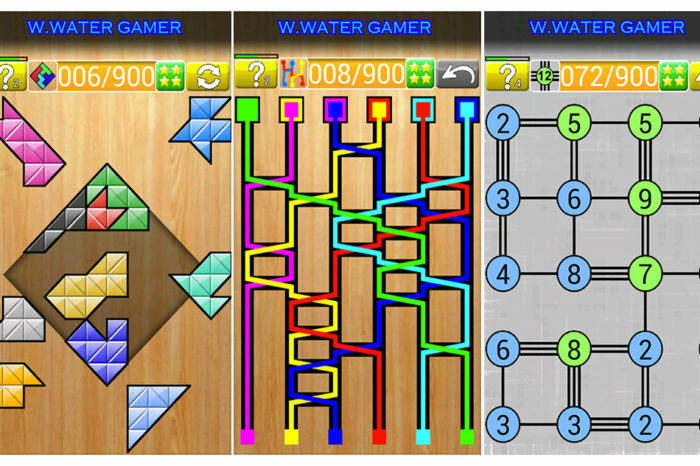 Games like remembering matching symbols, or ones found on IQ tests. If practiced enough, these games not only serve to assess your brain’s potential, but also to help sharpen it in the process. And even then, it is only the beginning of what true game-based learning can do. 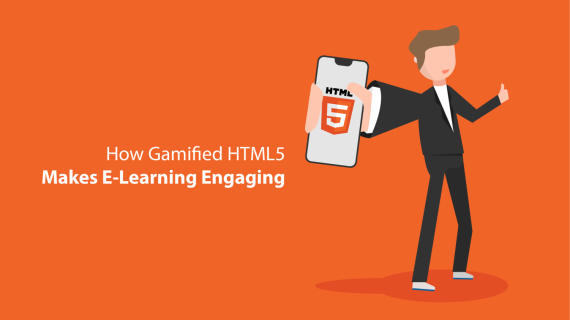 What is HTML5’s Part in Learning Gamification? 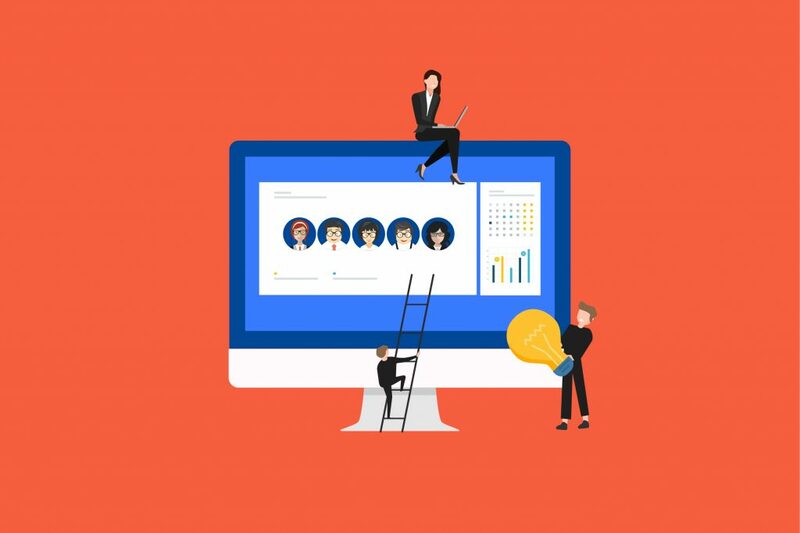 For most cases, when one wishes to apply game-based learning or training, they would design or commission a custom software to personalize it in accordance to the taught materials. While some learning games does well to help sharpen the subconscious, at times, we would need to train the conscious mind as well. These learning/training comes in the form of memorizing facts or understanding concepts rather than the mind’s process of thought. The problem with a full-scale custom game-based training however, is that it is costly. It works to help engage and teach things efficiently, but at times at too steep of a price to even consider. HTML5 games are a cheaper alternative to this. They cannot be as in-depth as full softwares, but they are compact and engaging enough to help supplement learning topics, if not, fully teach single topics. This game is featured in our article about the general explanation of HTML5 Learning Games. In this game, you try to solve the math equations that take the form of balloons before they fly up in the air. The more right answers you have, the harder it will be. This game helps teaches and sharpens a variety of your brain’s skill set other than its capabilities to solve simple equations. One of them being your brain’s processing speed. The more you play this game and grow accustomed to it, you’ll find that you can solve these equations quicker and quicker until eventually this is subtly reflected on your daily activities. Work that you usually find cumbersome slowly becomes easier to process as you go about them faster and faster albeit very slightly. This game is a perfect example of a learning game in general. And can easily be replaced with things such as factoids or even simpler financial formulas that you can answer by typing it in for a more practical use. Featured in our article regarding Gamified HTML5 Advertising, this game originally is intended for learning purposes. In this game, you will be given simple trivia questions and have to fill the answer by rearranging the letters. Your goal is simply to answer each question before the timer runs out and see how far you make it. While this is quite a random trivia question at the moment, this game can easily be customized to become the replacement of regular quizzes within learning. Let’s say that your user was given a course and then given this by the end of it with the answers being relevant to the course. Most likely, it will prove much more engaging to those that have gone through the course well. It is also much more accurate and helpful to measure the capabilities of those that had lagged behind. HTML5 has great potential as a method of game-based learning and can often work just as well as full-sized programs in more specific areas. Or it may also help as supplements to pre-existing modules and/or training programs as well. Without being a spam or virus-induced pop-up, it turns out that online advertising actually doesn’t work even if it’s to a targeted market. Most online advertising takes the form of a banner or image on a website or on the sides of social media. And yet as it turns out, this doesn’t really engage the users of the World Wide Web. But then again, this is only natural once you take a step back and pay attention to the shift in consumer views. Traditional advertising just doesn’t work anymore. Even the ads in a super bowl commercial doesn’t work as well as they used to. This is because the consumers pay no mind to the intrusive nature that is advertising. And this is more so due to the fact that 69% of users actually leaves websites once presented with an interruptive ad. And those who doesn’t would often have an ad-blocker ready. Is There No Hope for Online Advertising? Not necessarily. There are still the cause of the very misconception that makes everyone thinks that it does. It is the online advertising that actually works. And wouldn’t you know it, these ads actually take advantage of the fact that they are on the web. Enter: Interactive advertising. 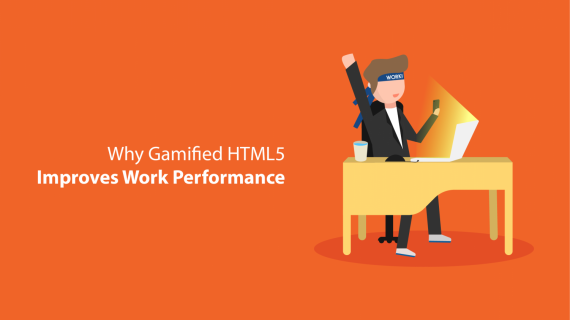 Featuring: Gamification and HTML5. We take a look at gamified advertisements in real life, they aren’t even supplemented by the creativity field of programming, and yet most of their cases works. It isn’t simply because they use points or anything, but because they give the consumer a chance to participate in something. To interact with those marketing campaigns and be engaged. Even things like a simple “Shoot the iPhone” ad or personality survey ad is proven to work better than regular traditional ads. Most online advertising failures come from not utilizing its potential to its maximum. But HTML5 can help to change that. Game-based advertising has been something popular for a long time. But while older attempts at this uses things such as Flash, HTML5 can provide a better solution by not requiring the consumer to download third party software beforehand. Thus, more available to a wider range of potential users. Below are two types of examples for you to look into. One of them being third-party cases that had succeeded, and the other one is an example made by Agate you can play for yourself. Mazda 2 Lightrider was an online HTML5 website banner that comes in the form of a game where you play to maneuver a car. A simple game that grabbed more than 3% interaction rate whereas average automotive ads are usually 0.5%. Nivea Men gamified ad by Digital Land is an online HTML5 game that had claimed to have attained total engagement out of its users and introduced the product to all its audience. P&G Nature Man was an interactive HTML5-based live stream on Twitch where the viewers could control the action of a man living in the woods. This brought in over 2.3 Million views to the stream. Don’t Sink (we recommend you to click the link in the new tab so you can try it for yourself) is a simple trivia game made by Agate with HTML5. This game will ask you random questions and you are to answer it by rearranging the random letters presented. Originally this game was intended to be a supplement for e-learning and corporate training. But simple mechanics like these, once redesigned can fit and be personalized to match the intended advertising. For example, if the questions are changed to those regarding the product and the answers are the product’s actual selling points. A simple change like that goes a long way to make the game above into a full-fledged gamified advertising. Where not only do the users become engaged in the campaign, but they also learn more about the product you are advertising in the meantime. 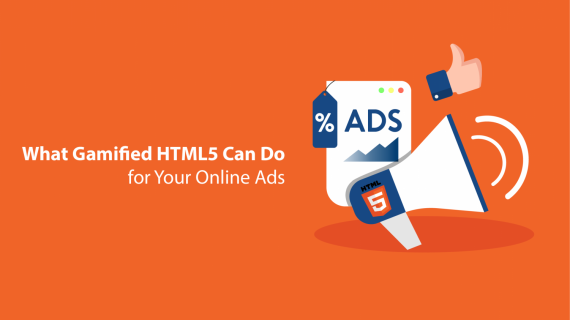 HTML5 and gamification can become your one solution to finally turn a profit and higher product awareness through online advertising. And if you’re interested in the idea of it, it might do you well to find out more about how HTML5 games can slowly influence the user‘s mind for their benefit. Agate Level Up’s event to share insight and networking about gamification had recently leveled up in and out of itself. With the addition of what is now a workshop and almost total modification in its way of sharing information. Experience Day had been revamped to focus more on interaction and diminutive demonstration of gamification practice. Over 20 participants arrived in the event from varying aspects and line of work. From teaching to banking, the many participants that came were rather surprised by the topic of gamification in depth. Many of them had considered the use of gamification, but a very small portion of them had admitted to knowing what gamification actually is. Despite this, however, roughly 50% of the participants had confessed to their company having learning initiatives; e-learning or otherwise. This point in itself may be proof that Indonesian companies have yet to catch up with trends that have sprouted nearly a decade ago. The workshop started with the participants connecting their mobile devices to the internet for a varying amount of activities that require their real-time interaction. Before those activities begin, however, the participants were divided into groups with certain rules. Said rule being: There can only be 1 participant with a blue name tag, 2 participants with a green name tag and any amount of participants with a red name tag. Following those rules, the participants needed to form a group of at least 3 members and have at least 1 of each color in the group. Immediately, the participants showed interest and quickly introduced each other among their fellow group members. It was then that the groups were introduced to the leaderboard on the screen. With each game they finish and actively compete in, they earn more points. And the groups would then use the points to compete over a mystery prize by the end. Despite not knowing the prize, the groups were quickly becoming competitive and tried their hardest to participate in each game. Each of the games was meant to represent an aspect of intrinsic and extrinsic motivation. As there was an explanation between them, the participants grew to learn more and more as they play. 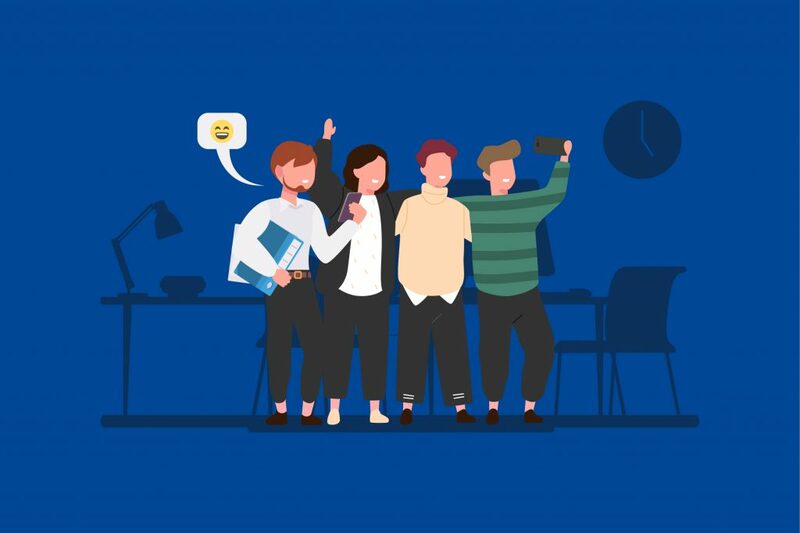 And this method was proven effective by the end when the participants scored very well in a trivia game regarding gamification, and a memory game regarding motivation. Multiple feedback was drawn from interviews near the event’s end, and all of them proved positive and impressed by what they learned and what gamification has to offer. “Gamification in e-learning is effective, due to the fact that traditional e-learning is still very boring. 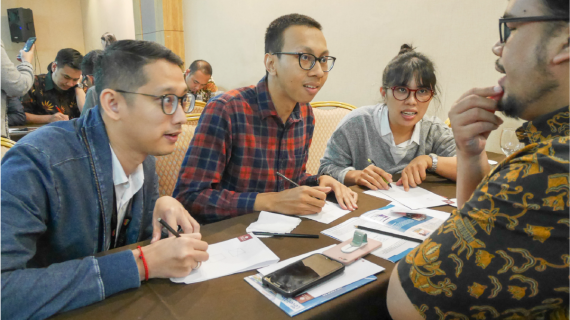 With usual e-learning only supplemented by animations and simplification but is still very lacking.” Explained David, a member of Organization Development from BPPK (Badan Pendidikan dan Pengembangan Keuangan)’s Training Centre. He also urged that this seminar had also worked to inform him of many possibilities open for gamification. Feedback such as David’s was plentiful among the participants. And though there are regrets such as the participants mostly not being decision makers, many of them had been convinced by the outcome gamification aims to provide. 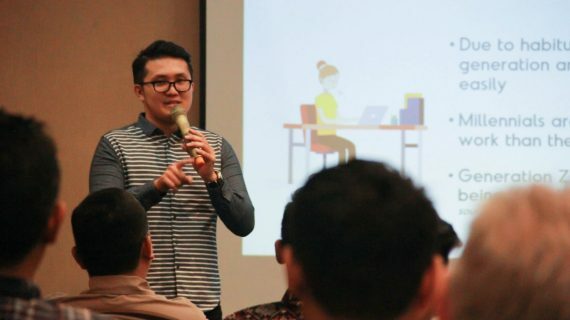 Representatives from dozens of companies attended Agate Level Up’s event, Experience Day, at Grand Tjokro Hotel on 25th of September, and rest assured, they all left the event with plenty about gamification and beyond. With a marvelous presentation from Marvin Lee, Agate’s VP of Gamified Learning, the participants of the events were first introduced about gamification with gamification. The materials were actually a simple gamified presentation with bite-sized points, powered by Levio. Between the materials were actually fun, small quizzes to give participants a hint where today’s learning is going to move. After the gamified experience of learning through the presentation, the participants were then surprised that their name tags served a different purpose besides being icebreakers. The different colored name tags were used to color code the participants into small focus groups as they share their experience with holding a corporate training, being a consultant and of course, what they know about gamification. Alongside Agate Level Up’s own gamification experts, the circle of chairs formed helped to make sure that everyone had a chance to ask as many questions as they needed. Another feedback is from Mr. Neil, a consultant specializing in corporate training who was cleared of all his doubts and misconceptions about gamification and game-based learning. 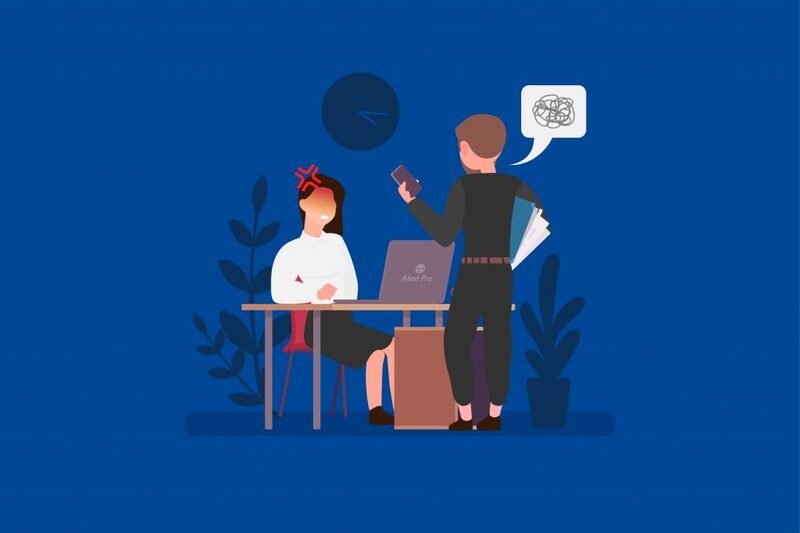 “Gamification serves to be an amazing supplement and boost to many aspects of training even if it does not encompass the training as a whole.” Said Mr. Neil whereas he previously thought that game-based training are a full hands-on replacement. By the end of the day, the many participants interviewed were very happy with the event. Especially after experiencing themselves the effectiveness of Levio as an e-learning supplement, and having a try at Agate Level Up’s Crane Simulator VR. Many said that they are looking forward to what gamification could bring to the table in the future and some, in fact, craves for a more in-depth sharing of this topic for future events. Truly a missed opportunity should one have been invited but could not attend the event. But expect more and better such occasions from Agate and Agate Level Up.